So it has been 24 hours since I left my married home and returned to my parents. Been a sense of freedom in one way. This move was long overdue. It is good to be engaging with life again rather than coping. On the other hand, I am discovering just how much I had hidden away from the world. I lived at home, rarely ventured out, had few friends, lost confidence in everything, totally out of date on all the hep and happening (uninterested too), essentially, my world was my home. That is it. It had happened gradually, from being an outdoor professional, trainer to being totally wall bound. I think I am lucky to have the internet, or I’d be so totally out of sync, that I wouldn’t know where to begin integrating. Went for a walk yesterday evening. Nisarga was sleeping. Just went out and walked the quieter lanes of Parle. Rain had left everything wet, puddles on the road, green canopy overhead… I had forgotten what this felt like. Felt very good. For the first time in too long, felt good to be out of the home. Headed out into the bustling main roads, made my way to the familiar paanwala. Everyone had moved on, apparently. No familiar faces. Ookay… that felt really alone. On the home front, things are good and bad. Good in the sense that the father seems to have accepted that it wasn’t working, and surprisingly, isn’t pressuring me at all to make up with my husband or any such thing. At least not now. Not so far. On the other hand, he is so controlling and judgmental, that I can write an epic of comments and opinions for the slutwalk right here, right now. His worst nightmare come to life. Daughter returned back from yet another failed marriage. On a practical front, the biggest problem is a lack of phone. Not being able to call for help was a problem on the night that changed everything. It has been a problem ever since. The Airtel update is that there are no updates. People call to find out what the matter is, vanish. Same as always. If you guys are listeing. No difference. Problem To compound this, I can’t buy a cheap card, because the rules have changed since the last time I needed such things. Now, they want passport/driving licence/election card. I never went out of India, nor am I tempted. I don’t have a passport. I don’t drive. I don’t have a driving licence. I don’t vote, I don’t have a voter’s ID. So the guy will not give me a card. 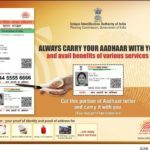 When I got my previous Airtel card, a Vodafone card, and a Reliance number before that, my ration card, PAN card and school leaving for address, photo ID and age – respectively did the trick. No go, this time. To top it all, my father refused to allow me to get one on his driving licence before I even asked. But this is a tip of the ice berg. In the years since the wedding, I have slowly, slowly slid into many, many issues of paperwork. My Income Tax accounts. Someone at the accountant’s office fucked up and misplaced my bills and statements, etc. This was three years ago. I haven’t been able to consistently follow up and sort out that mess for three years now. Which is sad, because I don’t earn enough to be paying anything, and should be getting deductions back, if only I followed enough to file. I’m scared about this, because Wide Aware is a business account in the bank, so maybe more checking? Clearing out my credit card bill. Since Nisarga was born, I have not been able to complete and clear my credit card payments as I usually used to, with the result that I am paying a lot of money in interest. Nisarga’s entry on the ration card. He has a birth certificate, but his name is still not on a ration card – though seeing the Airtel fiasco, it is another matter completely if it is any use putting it there. We don’t get rations on it anyway. Filing for passport, driving licence. I had better get them made, and fast, unless I want to be in trouble. Nothing seems happening without these. Nisarga is overdue for some expensive tests. I need to stop dithering and get them done, because his health matters. I am thinking of getting some psychotherapy for the depression and whatever else is found in the garbage in my head. That needs done. Transporting my things I left behind at home, and figuring out a way to do that with a kid in tow. Figuring out income and future. Where am I going? In the background are constant tapes playing. A relative warns me not to hassle my father with burdens at this age. Neighbour woman I say a random “hi” to after 5-6 years advises me to not get involved with any more men – this resembles my own conclusion, but is beyond insulting as an opening line. Particularly with sympathy to people whose lives I ruined. Father is forever trying to keep me at home. If I go down to the shop, he wants me to return fast. If I go to meet friends, I shouldn’t. They are “bad influence”. Don’t stay awake late, sleep early, don’t speak with men, etc. Apparently, the few people I knew had always felt we were a mismatched couple. So why had they not said something? Another epic from another relative. No one is going to give me a home after this. We shouldn’t complain when “our own coin is fake”. Yeah, “fake coin” is a metaphor for me. Thanks. Love you all for your support. Holy white lily born of an immaculate conception. Sad that everyone around you are morons – the IT department, Phone company, Dad, Relative, Neighbor, Husband.. I am sure everything would be fine… BTW getting a divorce isn’t necessarily going to speed up your paper work since the new paperwork would require your divorce papers in the event you are reverting back to your maiden name. You have a point. Maybe I should just go and get the stuff made and I can change names as and if needed. What’s in a name? Might as well go on with what I have now. Yours is the kind of life I’d totally dread to live. 😀 But somehow, you sound at peace with yourself. 🙂 I’m very happy you’re back at ‘home’. I think on parents’ (especially, father) whatever you’re facing is something you’re used to, so guess, it might be not mattering much. And whatever others say, again I believe, with the abilities you’ve developed, it might not be mattering much, though I did sense a bit of ‘mattering’. The only emotion I had seen you harboring towards your husband (at least in your writings) is one of fear, and a bit of suspicion. Both were used only to try to predict what his next move would be, especially, with Nisarg’s safety and impressionable mind at ‘stake’. So though beyond, doubting, you did the very right thing by moving out – something that needed doing (noticed, I too had never told you you should move out? 🙂 ). I guess, your greatest concerns must be Nisarg’s treatment and a source of income. I really don’t know what to recommend and hope that you will be able to come up with answers. I don’t think you’d be comfortable helping me. The last thing I need right now is to condole supporters. You are precious in your own way. You don’t have to rise to every situation. I understand that and I’m okay with it. (((hug))) your ideas on the packing really helped. You got the courage to take a very bold decision in your life. Look back only if your heart says so for many reasons and wen the time will come . i personally think you have the necessary strength -physical and mental to tackle any issues that will cross your way . You don’t need to look far away but look inside yrself everything that u need is in you already in huge qties but due to disinterest in life at some point of time during your Saas bahu days you forgot them. i dont know you and i dont need to know you to figure out how brave you are as a mother and woman .